While many of our young readers may associate Saturday Night Live with people like Andy Samburg, I remember a greater cast -- John Belushi, Jane Curtin and Bill Murray to name a few. 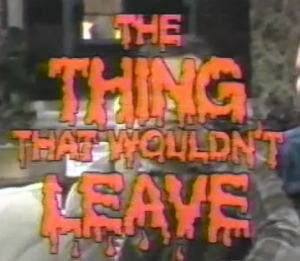 One of my favorite sketches, was called "The Thing that Wouldn't Leave". In it, Murray and Curtin play a married couple, who want nothing more than for their guest, played by Belushi, to leave. The wife screams in agony as the guest keeps finding reasons to stay. Well, sometimes true life imitates art, as Windows XP becomes "The Thing that Wouldn't Leave" for Microsoft. While the world has been preparing for XP's 2014 death, Microsoft today throws a curve-ball and announces a reprieve (at least partially). According to the company's Threat Research and Response Blog, "Microsoft has announced the Windows XP end of support date of April 8, 2014. After this date, Windows XP will no longer be a supported operating system. To help organizations complete their migrations, Microsoft will continue to provide updates to our antimalware signatures and engine for Windows XP users through July 14, 2015". So, while Microsoft will stop providing security patches and fixes for the ancient operating system on April 8 of this year, it will continue to provide malware definitions well into 2015. Sadly, this does muddy the waters a bit, regarding Microsoft's commitment to the death of XP. Security experts may be quick to point out that this sends mixed messages to users. In other words, it may lull users into a false sense of security. By having updated malware definitions, but unpatched exploits, the user is not fully secure. Microsoft admits this by saying, "our research shows that the effectiveness of antimalware solutions on out-of-support operating systems is limited. Running a well-protected solution starts with using modern software and hardware designed to help protect against today's threat landscape". Overall, partial protection is better than no protection. Users that are too stubborn to update to a modern operating system, have no one to blame but themselves if anything bad happens. If anything, this is a good move for Microsoft in the press department. News stories about Microsoft leaving computer users unprotected from malware are at the very least, postponed until next year. After all, the company does not need any additional bad press right now. Was this a good move by Microsoft, or does it send mixed messages? Tell me in the comments below.